LOCATION The property is situated within a secure gated community centrally located within the historic Cathedral and University City of Lincoln. The property benefits from aesthetic views across the city and is a short walk from Lincoln City Centre and the historic Cathedral Quarter. The property has access to a full range of amenities including shops, schools and supermarkets and leisure facilities. ACCOMMODATION The property provides well presented spacious accommodation across three floors. Fittings within the property are of a high specification. The internal accommodation briefly comprises of spacious Living Room, fitted Dining Kitchen, Utility Room, Ground Floor WC, First Floor Landing leading to Master Bedroom with En-suite Shower Room/WC combined off, Bedroom 2, Bedroom 3 and Second Floor Leading to Bedroom 4, Bedroom 5 and an a Shower Room/WC combined off. The property also benefits from gas central heating and a security alarm. LIVING ROOM 15′ 3" x 20′ 6" (4.65m x 6.25m) , with feature fireplace and dual aspect windows. FITTED DINING KITCHEN With integral dishwasher, oven and grill unit, fridge freezer and five ring gas hob. UTILITY ROOM With built-in wall and base units. 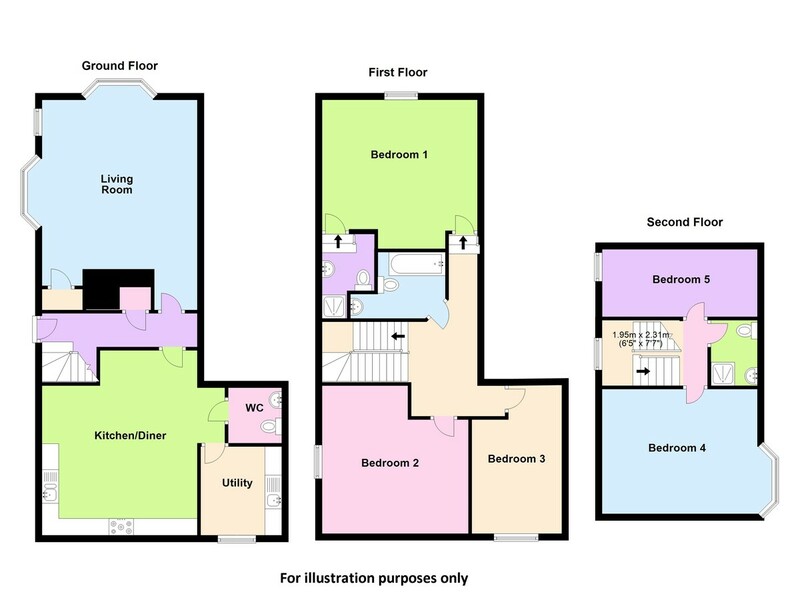 MASTER BEDROOM 15′ 4" x 15′ 9" (4.68m x 4.81m) , with door to en-suite shower room. OUTSIDE The property is situated in a desirable gated community with communal gardens and a parking area. The property benefits from two parking spaces, further gated access to the property and a private raised seating area. RENT AND DEPOSIT Rent £1,450 Per Calendar Month. Deposit £1,650.